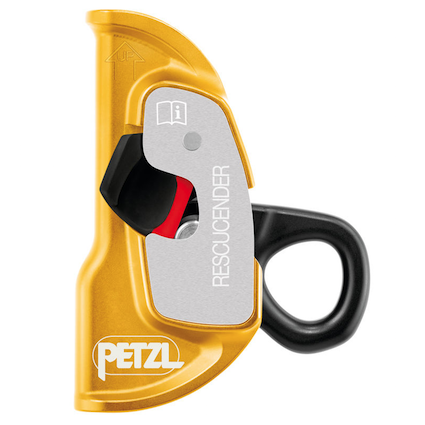 The Petzl Rescucender is a cam-loaded rope clamp designed for use whilst undertaking technical rope rescue, work positioning or working at heights. 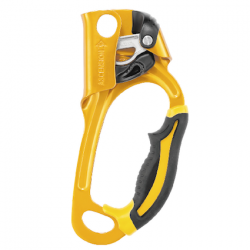 Its milled aluminium construction makes it both lightweight and yet very strong. 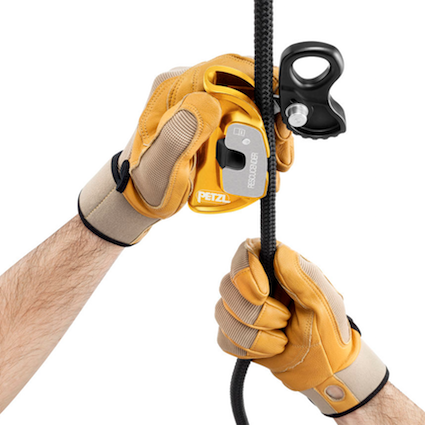 Easily fixed to any point of the line with the clamp mechanism, the Rescucender will hold a fall whilst the cam and body shape work together to minimize the likelihood of rope damage. 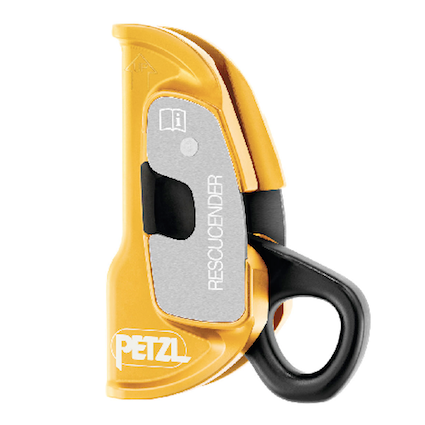 The Rescucender can be outfitted with a short tow-cord to make downward progress while rappelling easier and safer. 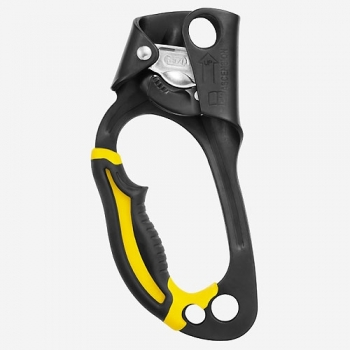 Large attachment hole to facilitate carabiner rotation.